The 31-year-old Air Force veteran is remembered for helping others through work with SPARTA and through YouTube videos. The transgender military community is in mourning after learning of the suicide of Jess Shipps, a 31-year-old Air Force veteran. "It is with the heaviest of hearts that I announce to you today the loss of a great SPARTAn. Her name was Jess Shipps. Jess took her own life this morning. She served honorably in the United States Air Force. She decided to get out of the Air Force due to being transgender at the end of her contract and began to transition. Jess was full of life and was a leader in our organization. She really was a talented and amazing person whom we got to know. She was more than a member, she was family. She was our sister. She has helped many of our members and for that we all stand together today as one in mourning her loss." Shipps also created two popular YouTube channels telling the story of her transition and giving advice to other trans women. Sgt. Shane Ortega, an out trans Army member and a leader of the Military Freedom Coalition, announced the news of Shipps passing Tuesday afternoon as well, indicating that she had left a Facebook message as a "goodbye letter" with several friends also involved in trans military advocacy work. A copy of the message posted on Shipps's Facebook wall provided to The Advocate indicates that she had felt particularly despondent recently after extended unemployment. She described being unable to afford basic necessities or transition-related medical care, as well as being hurt by social rejection, yet also recalled better times when one of her greatest joys was to make others smile and laugh. Shipps is now being remembered by Ortega and many others as a woman full of selflessness and humor, who often didn't fully let on that she was feeling pain about having difficulty finding work or acceptance from some family members and friends. "She had the support of some of the members of SPARTA, but she had been trying to be so strong for everyone else that no one really understood how complicated [her situation was] and how she was suffering personally," said Ortega. Shipps worked with SPARTA doing advocacy, speaking to new members about her military experiences and accessing medical care. 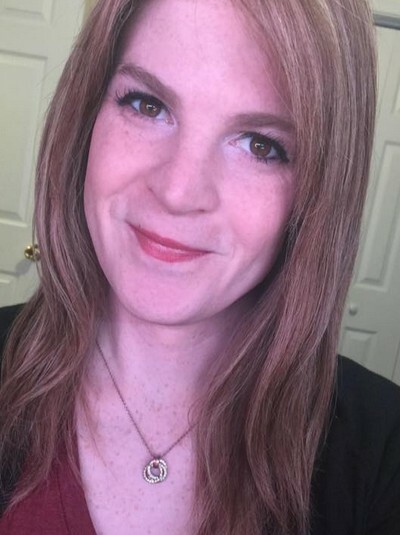 She was also actively involved in helping others through online trans communities on Reddit and on YouTube, where she regularly invited viewers to see what life was like for her as a trans woman. Some knew her by her online handle, "Lumberchick," reflecting her love of the outdoors. Her videos often featured her in her car, talking humorously about her day; others were deeply honest about feeling the necessity for years to present as male and supress her female identity. The video, posted last month, was made on the eve of her facial feminization surgery, she says, and words appear on the screen indicating that she intended to make a sequel in December of this year. Though Shipps seemed to often be smiling and laughing in her videos, Ortega said her "pretty sad, pretty difficult" final message reflects struggles experienced by many trans women and trans army veterans, that can take a toll on mental health. The pair had been friends for two years after Shipps had left the Air Force; although she was not discharged, Ortega said he believes she chose to leave because "she had a fear of transitioning while on active duty." The U.S. armed forces currently recommends the separation — release from active duty — of openly trans soldiers under Department of Defense Instruction 6130.03, which dictates that any type of gender-confirming clinical, medical, or sugical tretment is evidence of "disqualifying physical and mental conditions" This stance has recently been rejected as medically unsound by the American Medical Association, and the Air Force this month announced the groundbreaking decision that identifying as trans or being diagnosed with "gender dysphoria" would no longer be the sole reason for a member's separation. Ortega said Shipps had told him she loved her job in the Air Force and was "devastated" to feel like she had to leave. He also emphasized the difficulty that she faced in "becoming a second-class citizen" in a male-centric society, adding that the fact that she was a "tomboy" and not "hyper-feminine" — "she liked things like trucks, she liked the outdoors, fishing, camping, and those kinds of activities" — exacerbated some of her negative interactions in the wider world. Despite this, said Ortega, “One of the things that was so important about who Jess was, was that she actively lived her truth and didn’t apologize for it." He described her not shying away from showing images of herself formerly presenting as male on her YouTube channel and often “put[ting] all her worries out there” so others could see the unvarnished complexities and victories. "Everything she did, she did with integrity. She did it because it was the right thing to do. She tried to do the best she could for other people." If you or someone you know are a transgender and gender-nonconforming individuals needing support, you can reach the Trans Lifeline at 877-565-8860. The National Suicide Prevention Lifeline at 1-800-273-8255 can also be reached 24 hours a day by people of all ages and identities. LGBT young people (ages 24 and younger) struggling with thoughts of suicide can also contact the Trevor Project Lifeline at 1-866-488-7386.